This post written in collaboration with ASKO. Do you have a little one on the way? Are you well in to the parenting game and your house is starting to show it? 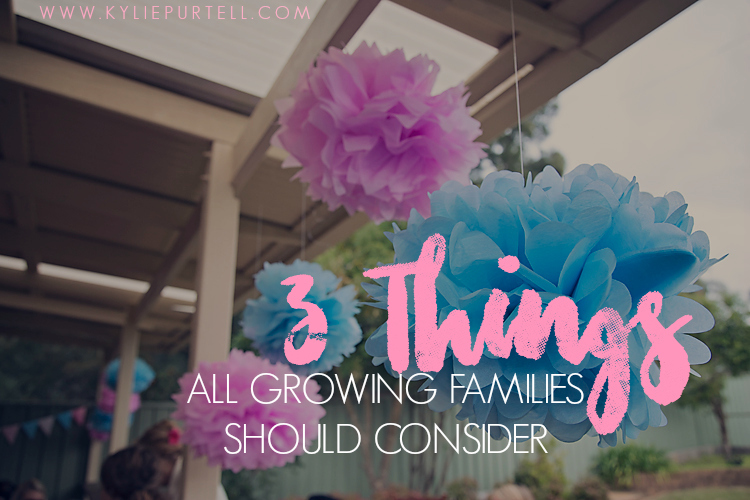 If your family is growing, there are some very real and practical adjustments that we often have to make in our day-to-day lives to accommodate the munchkins. In particular, household items often need to be upsized or upgraded to cope with the demands of family life. If Dave and I had been smarter we would have upgraded two of the three things on my list before kid number two came along, but we didn't and I'm regretting it now! So read on to find out my top three things you should consider upgrading or upsizing to accommodate your growing brood (and not leave you scrambling to do so after the fact!). Having more mouths to feed means buying more food, and as a result you’ll need more space in your fridge, freezer and pantry. What may have worked for you as a couple or when your first baby was small will not work for you as a growing family – especially if you prefer to do one big weekly shop like we do, as opposed to multiple, mid-week purchases. The key factor to buying a new fridge/freezer is capacity. Before you even start looking around, check the inside of your current fridge/freezer to see how many litres the fridge and freezer store. Once you know this, you can figure out how much you need to upsize. Various retailers will also have online buying guides to help you determine how big your new fridge should be. I can't stress how much easier it would have been if Dave and I had simply bought a bigger fridge when I was pregnant with Punky, instead of having to find the money to buy bar fridges and freezers to give us more cold space once Zee was born. Who knew kids would eat so bloody much! If your laundry basket is constantly overflowing and you feel like you’re running a commercial laundromat, it might be time to consider upgrading your washing machine. I've been told it’s remarkable how much difference a bigger washing machine can make to your pile of dirty clothes. I have it on good authority (from my MIL who is a survivor of 5 children!) that spending the extra cash and upgrading to a faster and bigger capacity washing machine is definitely the way to go. While front loading machines are leading the marketplace with higher energy and water efficiency, they typically only offer a small to medium washing capacity and have longer wash cycles. 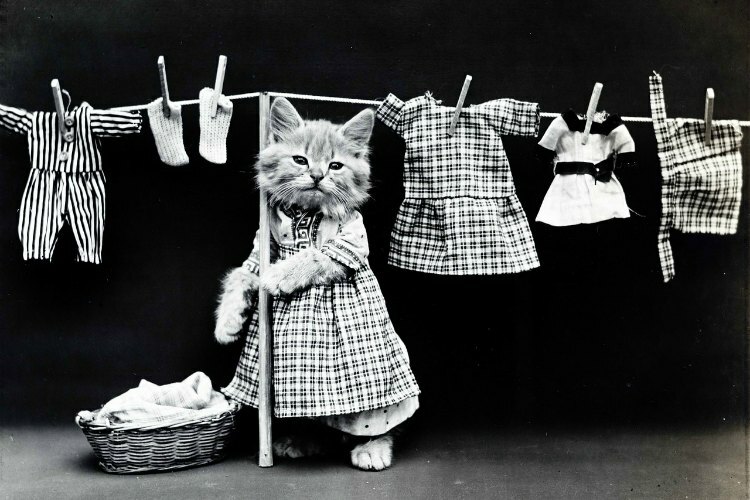 This means that you will need to do a lot of little washes to get through all those clothes! If you choose to buy a front loader, ensure that it has a larger wash capacity, around seven kilograms is ideal. You also need to factor in reliability, as you’ll more than likely be running your machine on a daily basis. Investing a little more on purchasing your new machine from a high quality, proven brand – such as ASKO – will likely save you money in the long run. This is something I REALLY wish we had done before we had kids, because our current washing machine was already second hand when we bought it. She is definitely heading towards her last legs now and I shudder to think about the day she finally gives up the ghost. So I'm doing my research and saving now! Last but by no means least, a growing family needs to consider how it gets around. Even if you have just one or two children, the amount of ‘stuff’ you need to cart around will require more boot space. Prams can take up a significant amount of space and when you combine this with groceries and other items, you could be pushing your car’s storage space to the limit. This becomes even more of an issue when you go on holidays and need to squeeze in suitcases, high chairs, toys, and more! Not to mention if you're going to have more than one kid you need to be able to fit more than one car seat in the backseat, unless you plan on having your kids seven years apart! Rest assured though that the munchkins grow quickly, and within no time you'll find yourself with less kid stuff to lug around. We upsized our car before Zee was born, but knowing that she would probably be our last, we didn't want to spend too much money on something huge that we would want to down-size once the girls got bigger. So now that they are bigger, we've been shopping around and saving for our next car, and I can't wait to get one! A growing family needs more of everything. While many items can be considered unnecessary luxuries, these three above are some everyday essentials that you will probably need/want to upgrade. Although it might seem like a lot of money to be splashing out, you will be glad to have the right tools and enough space that allow you and your family to happily go about your everyday lives! Did you upgrade/upsize anything when you were pregnant or planning your family? Is there something you wish you HAD upgraded before you had kids that you're kicking yourself about now?